I have a studio in the old box office of The Royal Festival Hall where I am painting portraits of the festival volunteers. More information on this very shortly. Please read excerpt from the Press release. working with 50 young refugees and 4 poets has made a new piece for the terrace outside the Royal Festival Hall and in the outdoor corridor linking Hungerford Bridge to Waterloo Station. 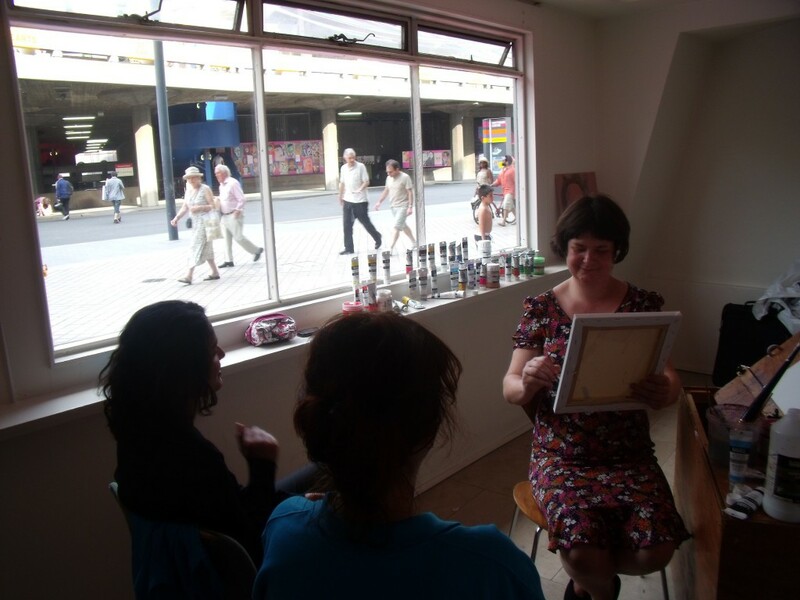 For the duration of the Festival, artist Lady Lucy will have a studio in the original Royal Festival Hall box office, where Festival volunteers can have their portrait painted and visitors to the site will be able to see her work in progress.